"Slightly less embarrasing cover art than the last one. As homemade card board cut-out albums go...I can live with this. I can't help but shake my head and laugh though. ANYWAY, this was my college tape. We basically made a MUCH nicer recording of the songs from Unreal...redid a couple of them from scratch, and added 2 new ones. The popularity of this tape, mixed with the momentum of The Late Show in 1995, produced my first CD in May of 1996. Yet again I xeroxed every liner note and cut out every cover, but I didn't handwrite other things on the liners this time. I learned my lesson from "Unreal". Need to give a tiny shout out to Chris Johnson. 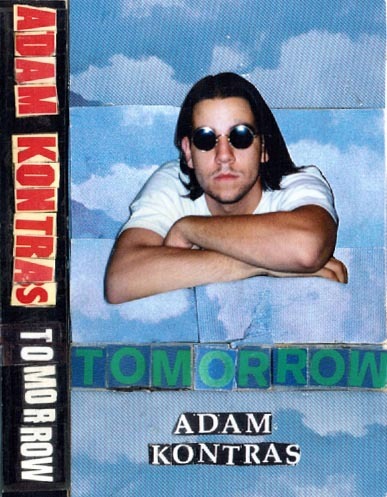 He was the firsrt person to ever play "Tomorrow" on the air at WOBN. He got written up for it by Bob Mosher. Christ, that's about as wacky as my college days ever got. 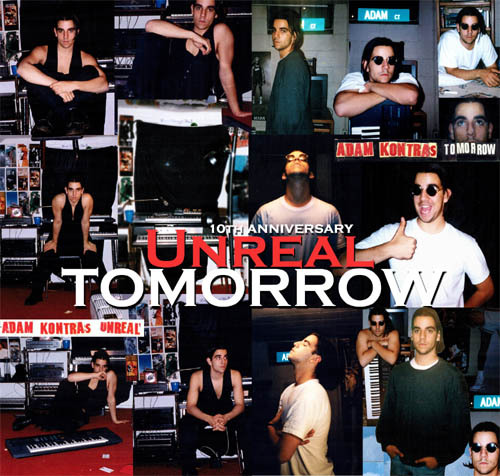 (sigh)"
Although this cassette was only released in Limited Edition quantities, you can buy the remastered CD Unreal Tomorrow that includes this entire cassette along with Adam's very first project: Unreal.